It’s just about the end of the year and I cannot see making any more progress on my 13 in 14 endeavor. We tackled quite a few of the skills, and we’ve accomplished much more than planned over the past year. And now, a final review of the 13 Skills we planned to “master” in 2014. 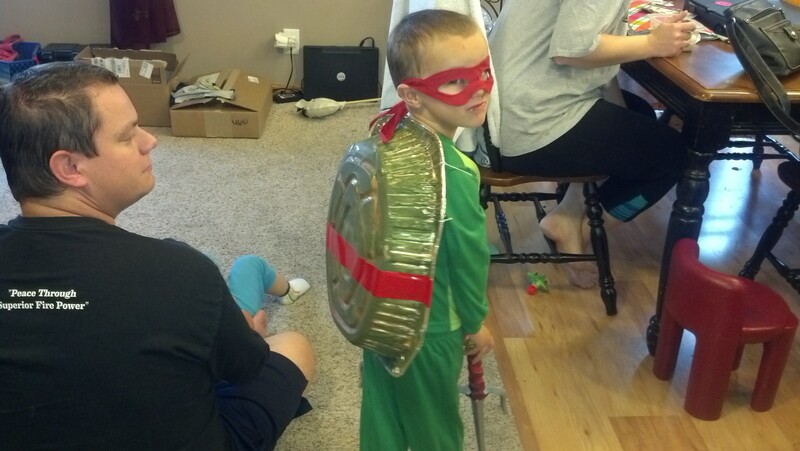 I did, however, make an AWESOME turtle shell for Joe’s Teenage Mutant Ninja Turtle costume. 7. Health and Fitness – I do have a 5k in the running (pun intended). In December, I am going to participate in a Jingle Bell Run. Our team theme is “Santa and His Elves on the Shelf.” That is pretty much the extent of my health and fitness goal. We are still trying to eat better and the CSA and garden this year really helped with that. As COMPLETE as it can I am willing for it to be this year. 10. Gardening – The two swales we put in have done a fantastic job holding water. We’ve barely had to water this year due to all of the rain and, with all of the trees we have planted, watering would have been a full-time job. 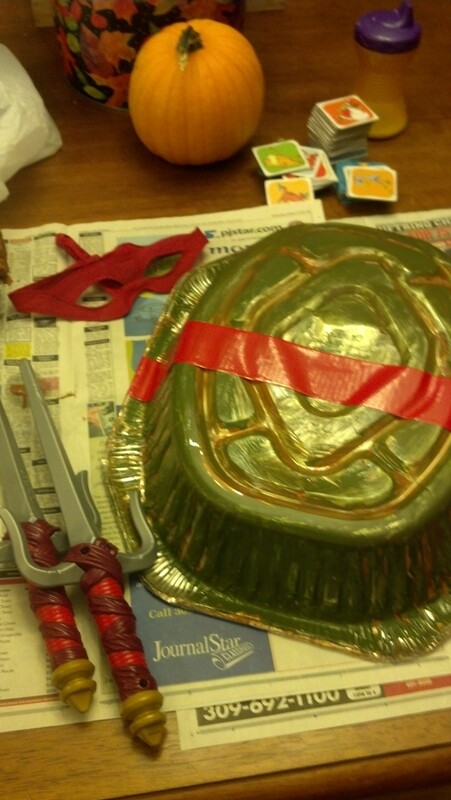 Overall we completed 8 skills, 2 skills are in progress and we had 2 fails–which will be added to next year’s list. This entry was posted in Adventures in Homesteading, Chickens!, Food, Garden Stories, Life, Permaculture, Preparedness, Writing. Bookmark the permalink.